Theatreworks Writers’ Lab is having an incredibly busy July, and has finally reached the highlight of the month with the annual 24-Hour Playwriting Competition. Now in its 21st year, the 24-Hour Playwriting Competition is best known for its unique format of site-specific playwriting, choosing unique locations each year to hold the competition at. 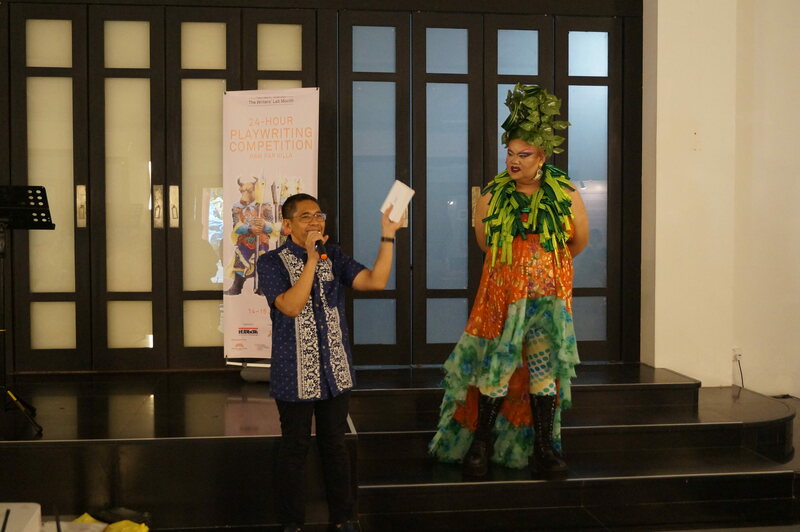 Past competition venues have ranged from a farm last year, to Pulau Ubin, to even a cruise ship. This year, the competition took place at Haw Par Villa, an iconic theme park, built in 1937 and located along Pasir Panjang Road. 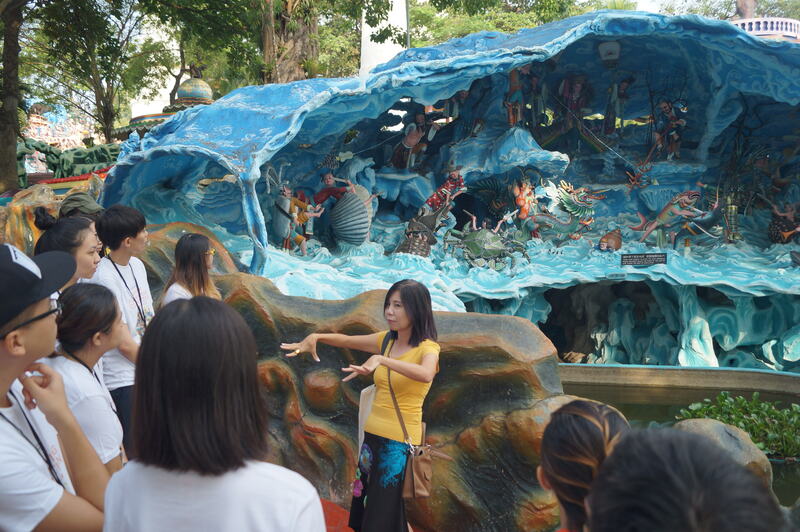 Haw Par Villa is famed for its various depictions of Chinese folklore, and particularly known for its signature exhibition depicting the ten courts of hell in from Chinese belief. 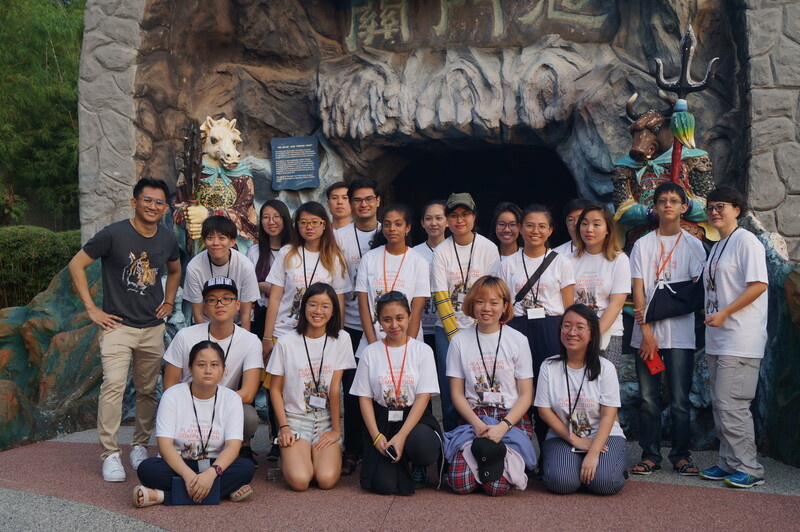 Steeped in so much history and mythology, Haw Par Villa had all the potential to provide plenty of inspiration to the participants at the competition this year. 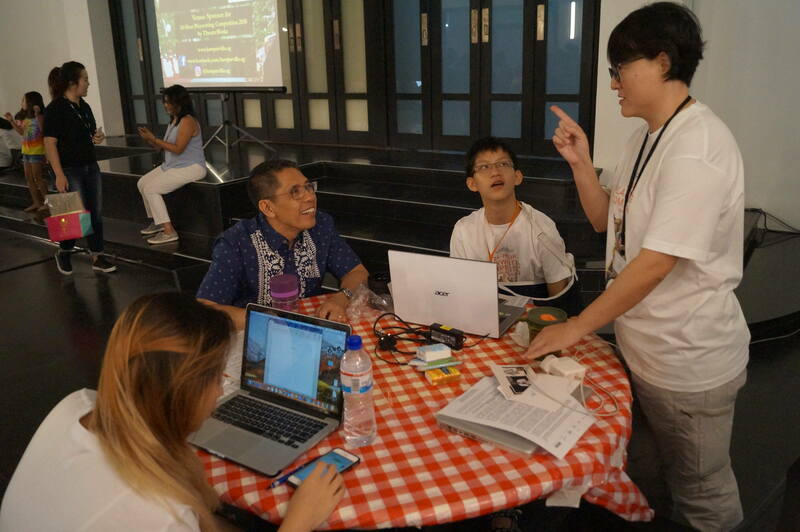 This year’s edition featured 50 participants, with the youngest at just age 15 and the oldest at 55. Familiar names taking part this year included actress Ellison Tan, indie musician Inch Chua and playwright Shen Tan, who will be premiering her debut production 13.13.13 with Theatreworks later this week. The competition format is simple – playwrights are housed in a conducive, air-conditioned writing hub within the competition grounds, and have twenty four hours from 4pm on 14th July to 4pm on 15th July to type out the best play they can before submitting it. There is a twist of course – over the course of the 24 hours, playwrights will periodically be given a total of five writing stimuli, conceptualised by game master and drag queen Becca D’Bus, that they must incorporate in the order they are given into their scripts. 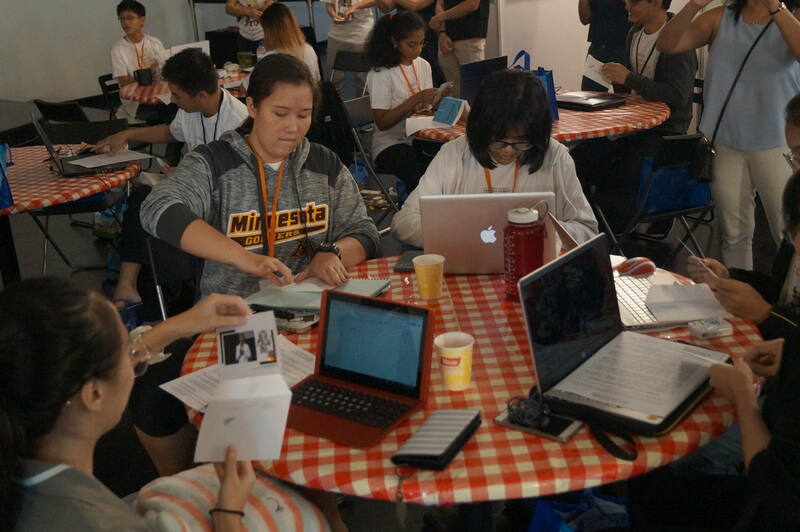 Scripts are then submitted to a judging panel, this year comprising theatre practitioner Jeremiah Choy, Business Times arts writer Helmi Yusoff, and playwright Jean Tay, before winners are announced later in the year. Opening the competition was Southeast Community Development Council mayor, Dr Maliki Osman, as he arrived at the competition grounds to deliver the opening address and reveal the first stimulus. Unlike previous years, this was done not simply via an announcement, but with personalised envelopes given to each and every participant. For Dr Maliki Osman, this was a family affair, as the preparation that had gone into the letter involved his wife meticulously stamping ‘CONFIDENTIAL’ on each envelope by hand, while his daughter helped pick out the emoji stickers accompanying each letter. As the participants opened their envelopes in unison, the first stimulus was unveiled: a letter with the words “You know me”, alongside a smiley emoji, which was to be used as the first line of the play. This was also the first year playwrights were explicitly encouraged to incorporate the venue into their plays itself, and this was aided by representatives from the venue educating participants about the place’s history and significance. 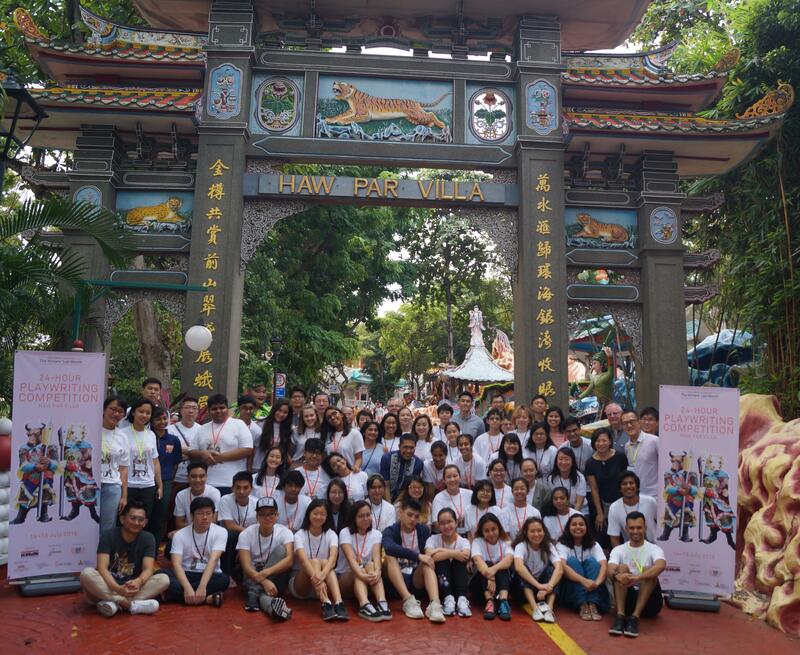 This year, the playwrights were led on a walk around the theme park, led by an informed tour guide as she explained the rich history behind Haw Par Villa’s construction, from its origins as a villa for Tiger Balm creators, the Burmese brothers Aw Boon Haw and Aw Boon Par, to its transformation into a haven for Chinese mythology. In our walk around the park, there were plenty of moments that made us realise just how different Haw Par Villa felt from the rest of Singapore, a rare, truly unique park that would never have been constructed today. From barechested half-woman half-crustaceans, to giant Buddhas and gruesome depictions of nightmare hellscapes, Haw Par Villa is simultaneously a bizarre, kitsch celebration of the sheer diversity of Chinese beliefs, and an incredible relic of the past we hope will remain preserved forevermore. Playwrights were then ushered back to their writing hub as a catered dinner was set up, with participants making new friends or chatting with groups they came with as they discussed ideas, inspirations and backgrounds. Following dinner, Becca returned in a brand new outfit to present the second stimulus of the competition: “a burning sensation”, which the playwrights could interpret more loosely. 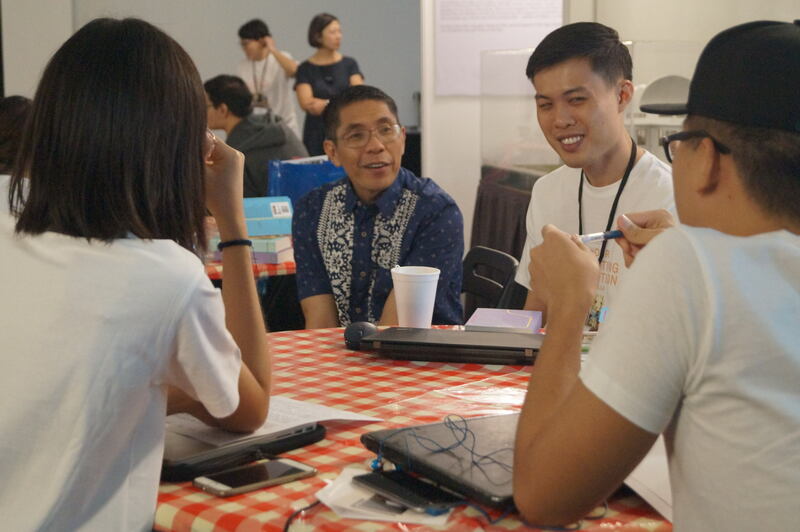 With plenty of tea and coffee from Theatreworks to keep them energized, as well as all of Haw Par Villa’s history to keep them inspired, the playwrights embarked on a long journey into night as their creative gears were finally set in motion. Who knows if the next great Singapore classic will emerge from this year’s competition? 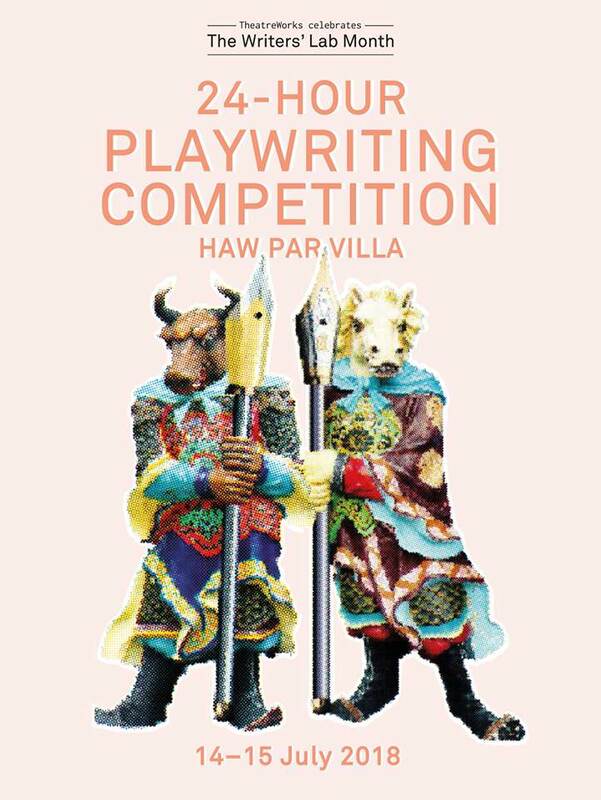 Only time will tell, as they’re guided by the spirit of Haw Par Villa and race against the clock to produce a worthy script at the 24-Hour Playwriting Competition 2018.